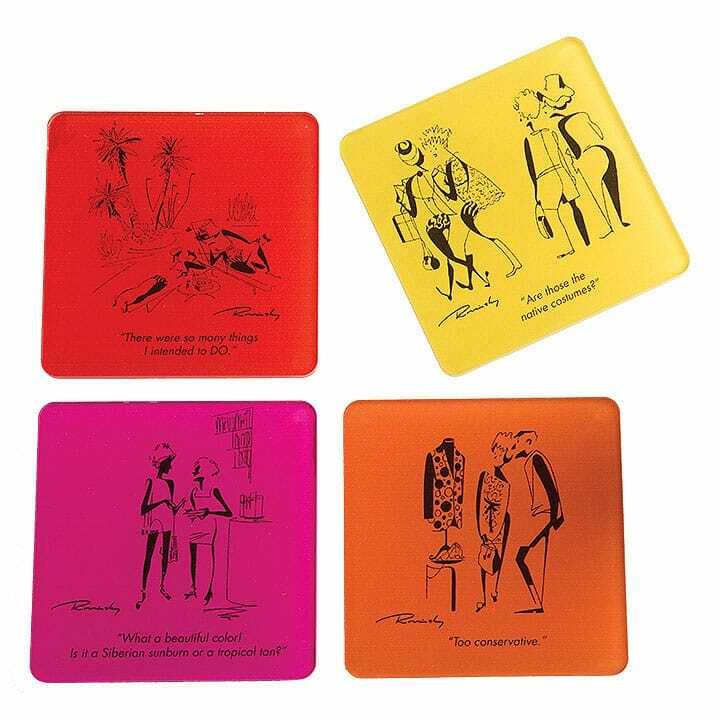 Set your glass down on one of these coasters illustrated with Alice Rovinsky cartoons and captions that reflect the modernist spirit of Palm Springs and the humor of its resort lifestyle. 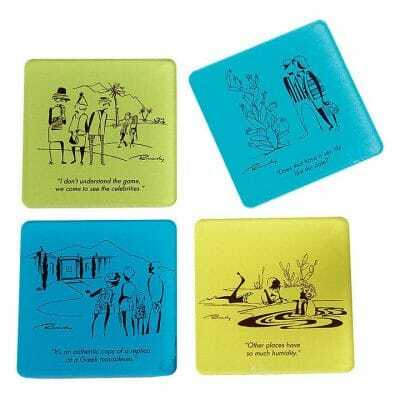 Each set includes four coasters and comes in two color options — blue/green and orange/yellow/magenta/red. Made in the USA. Alice Rovinsky created Rovinsky’s Palm Springs, a series of topical cartoons that appeared in Palm Springs Life in the late 1960s and ’70s. 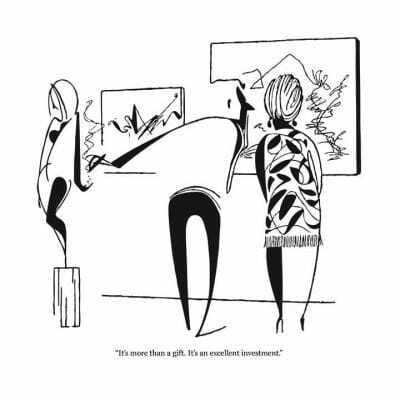 Sophisticated, witty and always entertaining, the popular cartoons captured the modernist spirit of the Palm Springs resort community and found humor in its lifestyle and social scene. Her drawings are simple and specific with an insightful eye to each stroke. A commercial artist with a pedigree from the Art Institute in New York, Rovinsky won the editorship of a fashion magazine while living in Paris, but left the opportunity in favor of moving to Los Angeles and ultimately to Palm Springs. 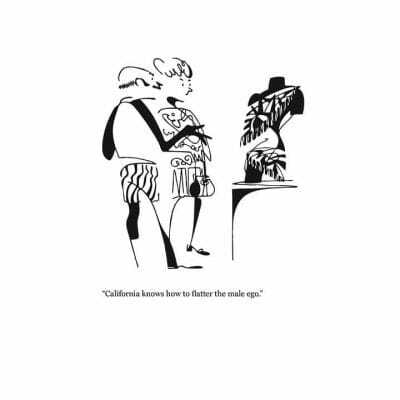 She created more than 50 timeless illustrations for Palm Springs Life.